“Boda mi, pastor niyin ooo. E jowo, e ma ko nipa politics mo. E fi politics s’ile”. My sister called to remind me that I am a pastor; and I must not write on politics. I didn’t have to ask her why she feels uncomfortable about political discussions. In Doyin’s subconscious, writing on politics makes you a politician. To her, it means you have become one of them who kill, steal, and destroy. It means you have become a liar, a manipulator, a pursuer of funny money in stashes, and a chaser of heisted silver and gold in batches. It was difficult to convince Doyin that I have not become a man who can kill a friend for a political position and slaughter a family member for sacrifices to the many gods of Nigerian politics to get power. I don’t know how she will feel if I tell her that I have not received one dollar from anyone for writing what I write, and that I do it pro bono publico until I pick up a replacement chore. Nigerians who share the same sentiments with my sister aren’t few. Much writings have not brought much changes to how Nigerian politicians reason. This effort is like extolling a pop group to a deaf man who cannot dance to what he cannot hear. Our politics is defrauding, manipulating, murderous, maddening and mangling. Men in authority are getting weirder and wilder as the people they serve continue to lose faith in those who ought to serve them sincerely. Poverty is spiking. Young people’s hope for tomorrow is fading out. Nigerian politics has failed to reward little people who hang on to hope expecting that tomorrow will be jim-dandy. We write, yet leaders grow with stolen wealth; and the people continue to groan as they gasp for breath. Politics in Nigeria is a sport for the bilker; and many of its practitioners are fundamentally treacherous. What is going on in our politics? Res Ipsa loquitor –the thing speaks for itself. I was a young man when Dele Giwa’s pen spoke loudly in ‘PARALLAX SNAPS’ against societal vices more than a million voices. Ray Ekpu was a co-conductor who joined in the cleansing effort of a stinking system. Etched in the spine of history are the rough rewards they got back when the system fought back. An evil system always fights back against good. The good must be on guard. Why write on politics if politicians care not a diddly-squat? Nigerians are writhing in pain, so we will not quit writing. A patient pore at the country’s educational sector reveals why. Public schools that do no good for the public are no public schools but only upgraded public toilets. From them, ignorance is spreading, and illiteracy is swelling. Many of our educators are uneducated, and tutors are untutored. Appointed teachers need some more classroom-grooming than the classroom needs them. And the stench thrives on. Nigeria’s literacy rate is estimated at 61% with many out-of-school children. Young adults with limited literacy and numeracy skills have little hope of ever joining the formal workforce. Forty million Nigerian youths are unemployed; and 80% Nigerian graduates are unemployable. What’s the blueprint for Nigeria’s next 20 years? When do we quit operating a “fire brigade democracy” where we put out the fire only where it’s raging; and non-strategic about preventing a possible future incident? In “fire brigade democracy”, you live only for the present and pay as you go. A country that lives only for the present has jettisoned and jeopardised her future. Nigeria can build the best infrastructure comparable to the developed nations. We can construct the best railroad system and put in place the most electrifying electricity supply mechanism that will not flicker. We may choose to asphalt the smoothest and most soothing road networks and set up a cutting-edge aviation system. If a greater percentage of the citizenry are unlearned, uneducated and ignorant, we have only wasted precious resources building a castle in the cumulus. Ignorance cannot maintain and sustain whatever wisdom has built. People in power dispatch their children to the best schools around the world with boarding and tuition fully paid upfront. How did they get the money? It was heisted from our collective patrimony. And the same people deny little people’s children half of that luxury at home. Say this to our politicians: The neglected kids in Nigeria’s urban and rural alcoves and gazebos will become a menace and hazards to the society. And children of powerful men in power and their parents will not know peace. They will forever have to look over their shoulders for safety and security because of the havocs they wreaked when government was placed on their shoulders by God of time and chance. Elections are now over, and our lawmakers when sworn in will become beneficiaries of an obnoxious remuneration package sneaked in from the backdoor in our hallowed chambers. The annual pension for an ex-US president: $207,800 + a $50,000 expense. The average pension for a ‘retired’ Nigerian governor: $549,450.60. For example, in Lagos, the pension law states that a former governor will enjoy the following benefits for life: Two houses, one in Lagos and another in Abuja. Six brand new cars replaceable every three years; furniture allowance of 300 per cent of annual salary to be paid every two years, and close to N2.5m as monthly pension. Free security detail, and free medicals including his immediate families. In Rivers State, the law provides 100 per cent of annual basic salaries for the ex-governor and deputy, one residential house for former governor “anywhere of his choice in Nigeria”; one residential house anywhere in Rivers for the deputy, three cars for the ex-governor every four years; two cars for the deputy every four years. His furniture is 300 per cent of annual basic salary every four years en bloc. House maintenance is 10 per cent of annual basic salary. In Akwa Ibom State, the law provides for N200m annual pay to ex-governors, and deputies. He enjoys a pension for life at a rate equivalent to the salary of the incumbent governor/deputy governor respectively. A new official car and a utility vehicle every four years; one personal aide and provision of adequate security; a cook, chauffeurs, and security guards for the governor at a sum not exceeding N5m per month and N2.5m for the deputy governor. Free medical services for the governor and spouse at an amount not exceeding N100m for the governor per annum and N50m for the deputy governor. A five-bedroom mansion in Abuja and Akwa Ibom and allowance of 300 per cent of annual basic salary for the deputy governor. Furniture allowance of 300 per cent of annual basic salary every four years in addition to severance gratuity. It’s the same weird and wild story in all of the states of Nigeria. Are we not led by the sick and sickening slave masters? The World Bank classifies Nigeria as one of the five extremely poor nations of the world. Today, Nigeria’s economy is the biggest in Africa. 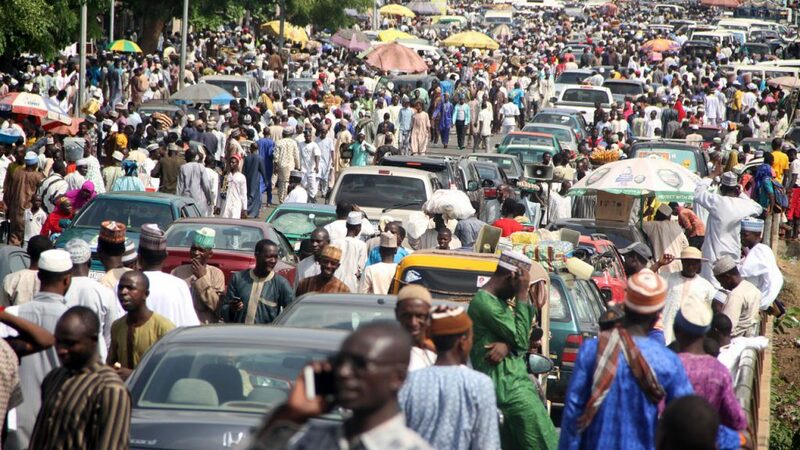 By 2030, the consumer arm of Nigeria will grow to be about 273 million in population, more than the population of France and Germany combined. No life changes for the average person. From the Governor’s mansion, to the lawmakers’ lounge and the President’s palace, this must be heard: the people are in pain, but do politicians bother? Somebody must remind politicians that poor people have nobody standing for them.